Today is the fourth day of Kwanzaa (Ujamaa = Cooperative Economics), the fourth day of the twelve days of Christmas and the 8th day of Hanukkah. 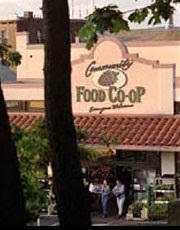 Bellingham Food Co-op, downtown on Forest Street (photo from their web site). Artist's rendition of the Cordata store, which will open in 2009 (photo from their web site). 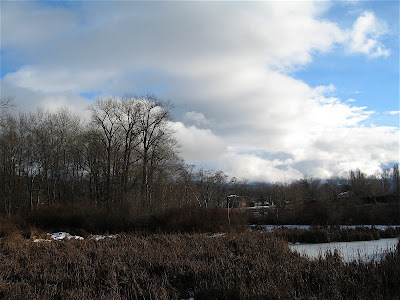 Yesterday's winter light in the afternoon (my photo).